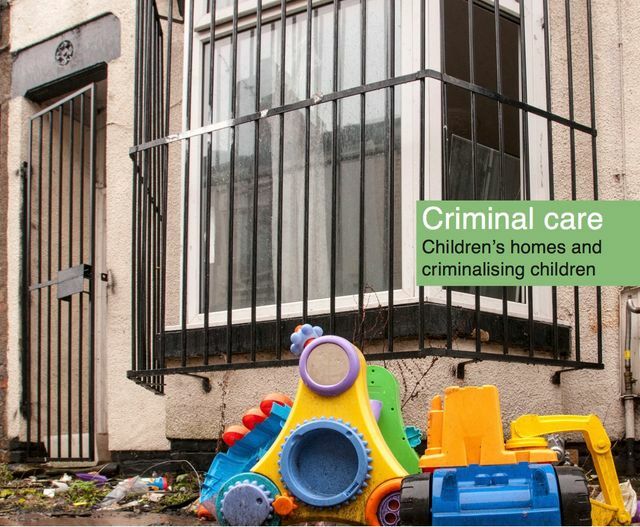 Last week, the Howard League published its report, Criminal Care: Children’s homes and criminalising children. It makes for worrying reading, describing the disproportionate and often unjustified criminalisation of looked after children in children's homes. One particular issue highlighted by the report is a lack of transparency, particularly in relation to the 73 percent of children's homes operated by private, profit-making providers. The involvement of private providers also raises issues in relation to the enforcement of legal rights. Clearly, in light of the report's findings, there are potential human rights implications, especially in relation to Article 8 and even Article 3 of the ECHR. This is particularly so in light of the obligation to interpret ECHR rights compatibly with the UN Convention on the Rights of the Child (see e.g. Nzolameso v Westminster CC  UKSC 22). However, in YL v Birmingham CC  UKHL 27, the House of Lords held by a 3:2 majority that a private residential care home was not a functional public authority under s6 Human Rights Act 1998, notwithstanding that the care was arranged pursuant to the local authority's duty under s21 of the National Assistance Act 1948. The decision was based, in part, on the suggestion that this would not create a "protection gap" because individuals could still have a remedy: (1) under the HRA 1998 against the local authority who had arranged the placement; and (2) in contract against the provider. (The effect of YL in relation to care homes was subsequently reversed by s145 of the Health and Social Care Act 2008 but not in relation to other contexts). The practicality of these suggestions in the context of looked after children was examined, and strongly criticised, in a 2013 article by Shazia Choudhry, Children in "care" after YL - the ineffectiveness of contract as a means of protecting the vulnerable P.L. 2013, Jul, 519-537. Choudhry's article, however, focuses primarily on children in private foster placements, and proceeds largely on the assumption that these will fall outside the scope of s6 HRA 1998 (as was argued by the Secretary of State in YL, though Lord Mance declined to express an opinion on the question). In fact, it is not clear that private providers of residential placements to looked after children - and, in particular, the private children's homes discussed in the Howard League report - would necessarily fall outside the scope of s6 HRA 1998. A comparison of the decision in YL with that of the Court of Appeal in Weaver v London & Quadrant Housing  EWCA Civ 587, illustrates the need for careful analysis of the particular context. InR (C) v Secretary of State for Justice  EWHC 171 (Admin), for example, it was accepted - perhaps unsurprisingly - that "notwithstanding, or in the light of ... [YL]" privately-operated secure training centres public authorities under s6 HRA 1998. In the recent Northern Irish case of Irvine v Sisters of Nazareth  NIQB 94, the Court commented that "it may well be" that a children's home, where the claimant had lived in the 1930s, "[is or was] a public body at the relevant time", though it warned that in light of YL this was "by no means clear cut". In this respect, it is worth noting the reliance placed in YL on the facts that: (1) the duty under s21 NAA 1948 was one to "arrange" care and not actually to "provide" it, such that the care home was not performing a duty that had been placed on the local authority and simply delegated; and (2) there were other residents at the care home whose care was not arranged under s21. By contrast: (1) under s20 Children Act 1989 (or under a care order), a local authority will be under a duty actually to provide, rather than simply to arrange, accommodation for a looked after child; and (2) the disparity between publicly- and privately-arranged placements will not arise. Alternatively, the possibility of remedy against the local authority for a breach by a private children's home may be less elusive than feared by Choudhry. In Costello-Roberts v United Kingdom (13134/87), the ECtHR held that because (1) the state has a responsibility to secure education for all children (P1-A2 ECHR), (2) the state cannot absolve itself from this responsibility by delegating it obligations to private bodies, and (3) discipline "cannot be said to be merely ancillary to the educational process", the UK would be liable for any breach of Articles 8 or 3 by way of corporal punishment at a private school (although, on the facts, the punishment was not severe enough to constitute a breach). Nonetheless, the decision in YL does potentially pose significant obstacles and the position remains far from clear. Police have raised a number of issues with the Howard League that may explain why the rate of criminalisation of children in children’s homes is so high. Forces told the charity that private contractors running children’s homes had used police cells as respite to cover staff shortages and because staff were not trained and competent to deal with children’s behaviour. Police suggested that they were picking up the pieces of a “social care deficit”, and that children were being pushed into the criminal justice process rather than receiving the support they needed from local authorities and children’s homes.